On paper, the new Black and Session leave little to be desired. Today was a busy day for GoPro. In addition to revealing its much-anticipated first drone, known as the Karma, the company introduced two new action cameras. Both the Hero5 Black and Hero5 Session are a major upgrade over their predecessors, with voice control and native waterproofing chief among the standout features. But let's start with the flagship Hero5 Black. It now comes with a 2-inch touchscreen, GPS and a sensor that takes up to 12-megapixel images. 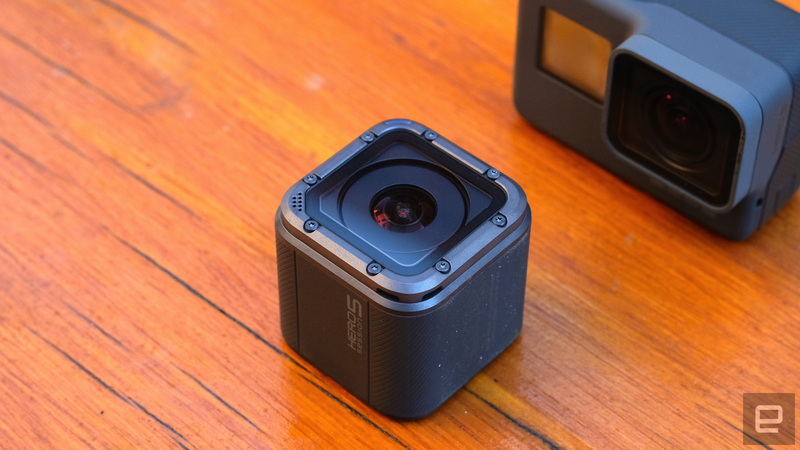 Like the Hero4, the Hero5 shoots 4K at 30 frames per second -- raise your hand if you wish it handled 60 fps. With the Hero5 Session you do lose the built-in display, GPS and RAW support. That said, you get a more compact design for $299/£250, whereas the Black costs $399/£350. And don't worry, the Session also supports voice commands -- like "GoPro, start recording" -- and is waterproof without a housing to 33 feet (10 meters). Thankfully, the latest action cams are compatible with GoPro's existing mounts, so you don't have to worry about spending extra money. Additionally, the Hero5 Black and Hero5 Session come with electronic image stabilization, which should translate into smoother shots during your adventures. Going back to the voice control feature, there's only going to be support for seven languages at launch, including English and Spanish, but GoPro says more will be added in the near future. 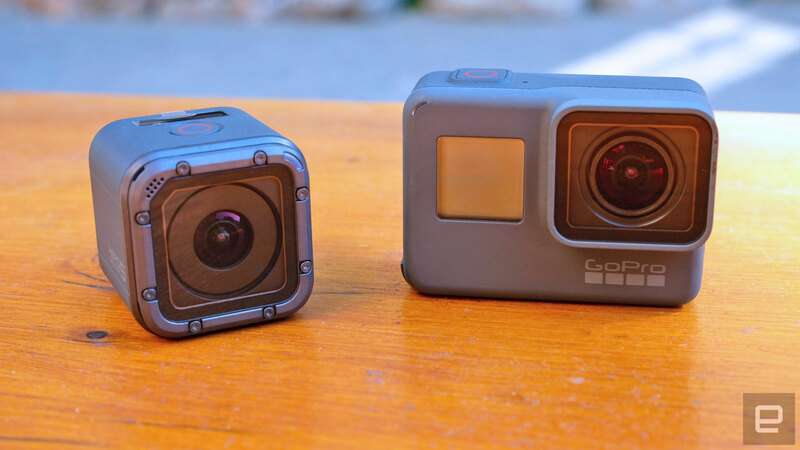 To bring the ecosystem together, GoPro announced a subscription service that lets you automatically upload your pictures and videos to the cloud. GoPro Plus, as the service is called, isn't free, though. You'll have to pay $5 per month, although you do get the first month free. Though the Hero5 is mostly impressive, it's not perfect. The "professional-grade" electronic image stabilization on the Hero5 Session wasn't the best quality -- some of the footage we captured had a warped fisheye effect to it. Still, I won't make any final judgements until I have more time to test the shooters properly, and for a longer period of time.